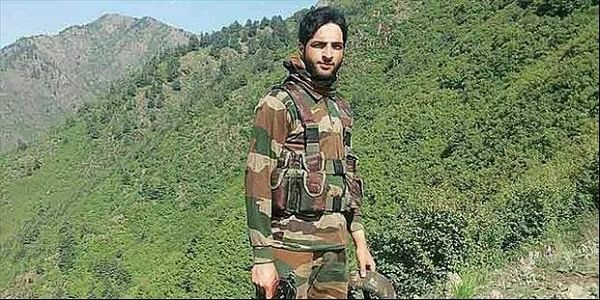 Wani, who was responsible for several attacks against security personnel in Kashmir, was killed in an encounter with Indian security forces last year on July 8. ANANTNAG: National Conference (NC) MLA Abdul Majeed Larmi on Saturday made a controversial remark by saying that all those, including the militants and Hizbul Mujahideen commander Burhan Wani, killed in Kashmir were ‘martyrs’. “Those who fight for issues are ‘Martyrs’. All those, including militants, who are being killed in Kashmir are ‘martyrs’, including Burhan Wani,” Larmi told ANI. Following his death, widespread protest spread in the Kashmir Valley and a curfew was imposed for 53 consecutive days. Earlier, Larmi was criticised for his condemnable comment on the killing of Army officer Ummer Fayaz Parry. Parry was commissioned into 2 Rajputana Rifles in December last year. Panic gripped the region after his bullet-riddled body was found in south Kashmir's Shopian district.